For the first time the Prince of Wales has written in a medical journal about his vision on health and medicine, and what needs to be done in this country to improve health-care and the services to patients. He has done so by writing an editorial for the December 2012 issue of Journal of the Royal Society of Medicine. The article expands on themes raised by The Prince of Wales in a speech to the College of Medicine on the 3rd May 2012 at the Royal College of Obstetricians and Gynaecologists. 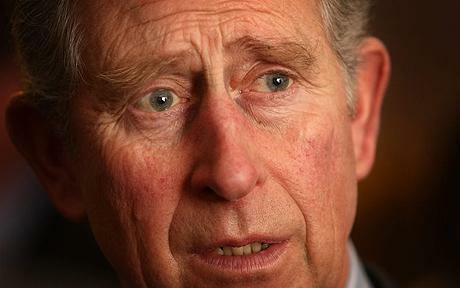 The Prince of Wales has been advocating for many years an integrated approach to medicine and health, and his previous reference to 16th century ‘healer’ Paracelsus and his defence of alternative medicine in public statements has put him at the centre of harsh media criticism. In this editorial the Prince of Wales takes a more moderate stance and, while recognizing the fundamental need to develop science and technology for biomedical purposes, writes that it would be beneficial to “develop truly integrated systems of providing health and care. That is, not simply to treat the symptoms of disease, but actively to create health and to put the patient at the heart of this process by incorporating those core human elements of mind, body and spirit“. The patient, and the patient’s narrative, need to become central to the integrated vision of medicine envisioned by the Prince of Wales, who “cannot help feeling that we need to be prepared to offer the patient the ‘best of all worlds’ according to a patient’s wishes, beliefs and needs. This requires modern science to understand, value and use patient perspective and belief rather than seeking to exclude them – something which, in the view of many professionals in the field, occurs too often and too readily“. This kind of statement seems to me to be obviously in support of the Medical Humanities field of research. Even more so as the Prince of Wales goes on to write: “One senior professional said to me that what seems to go missing all too easily is the art of thoroughly understanding the patient’s narrative. He said that we need to equip our health professionals with skills (and a desire) to listen and honour what is being said, and – importantly – what is not said to them. Only in this way can they develop a thorough understanding of the patient’s story. This understanding is necessary to develop healing empathy and help the patient find their own particular path towards better health“. But the editorial is not only expressing the Prince of Wales’ opinion on how medicine and healthcare should be, as it is also offering policy suggestions on how to improve the current situation, as: “Better care and compassion require systems which support the caring ambition of every health service organization, every health service leader and every clinician. If we really want to change things, then we must better support and encourage those organizations, leaders and frontline clinicians, who are fully committed to going the last mile in the care of their patients“. After reading the editorial, should those of us working in the Medical Humanities (and always struggling to secure funding for our research!) have any more reasons to be optimistic for the future? The full editorial by the Prince of Wales appeared on the Journal of the Royal Society of Medicine, volume 105 no. 12 and can be accessed here.